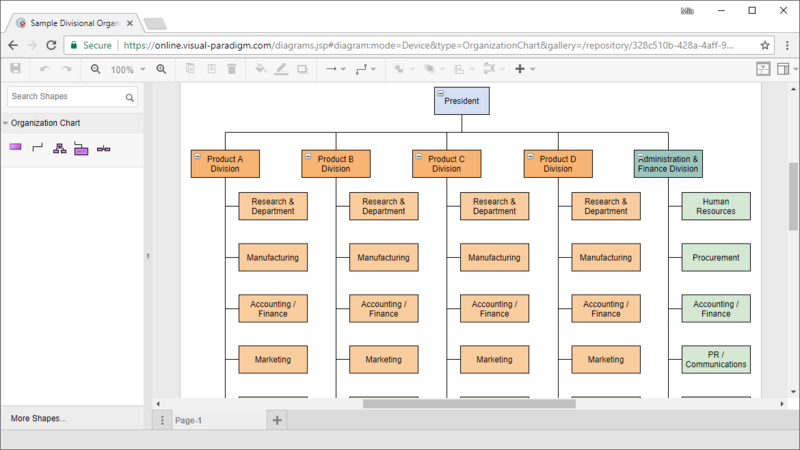 Draw diagrams online anytime and anywhere collaboratively with your team in cloud. 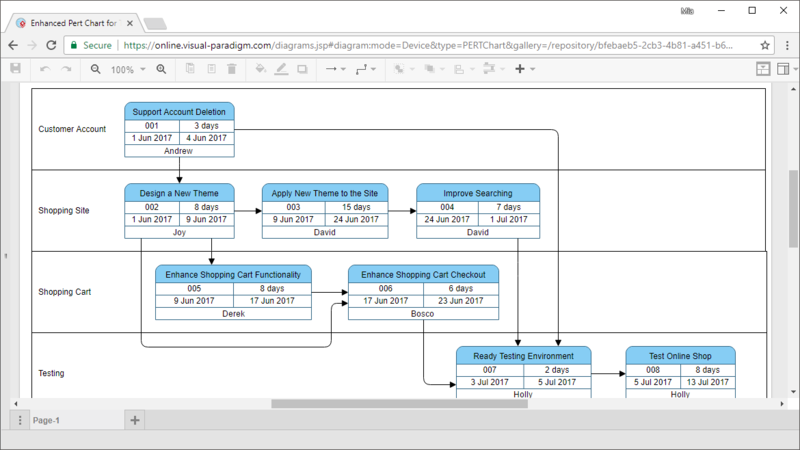 Import diagrams from the cloud to the desktop for performing enterprise scale of modelling and analysis with model traceability, versioning and traceability. 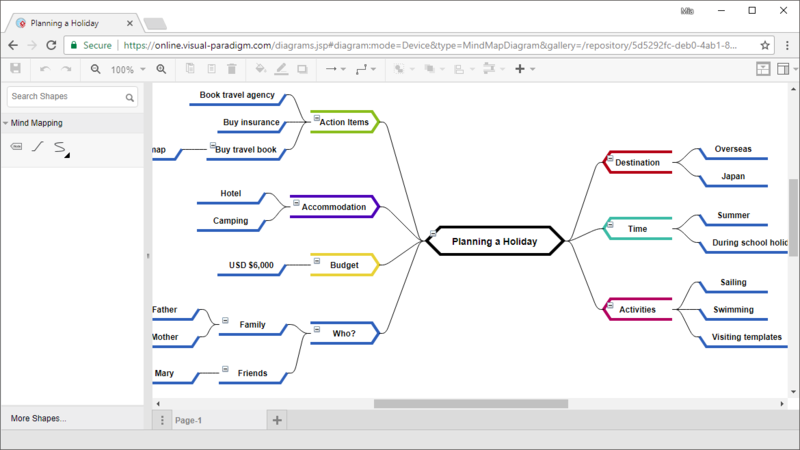 Visual Paradigm Online is a much better alternative to LucidChart, SmartDraw, Viso, Concept Draw, Creately, Gliffy and etc. 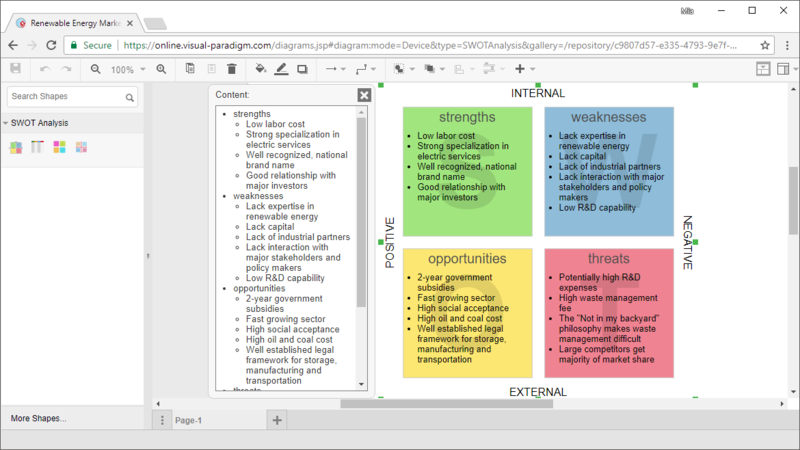 Online ArchiMate® 3 diagram tool (The Open Group Certified). 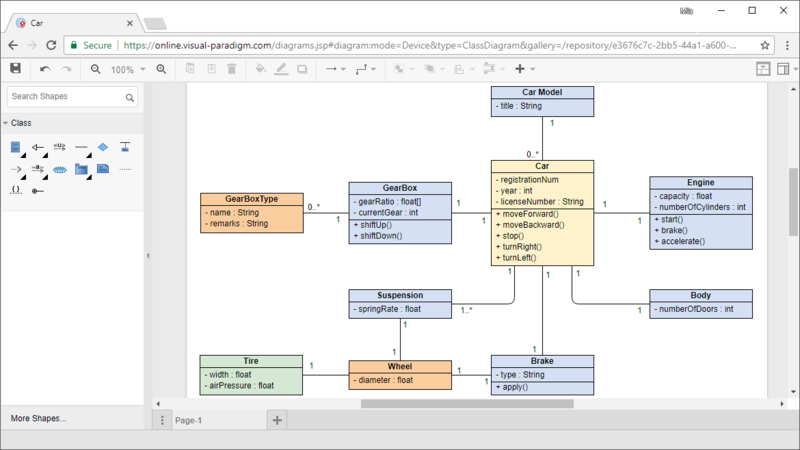 Online UML Class Diagram tool. 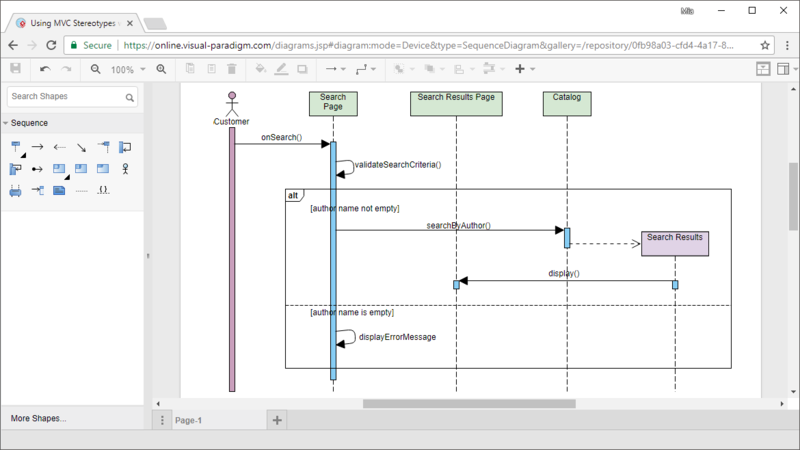 Online UML Sequence Diagram tool. 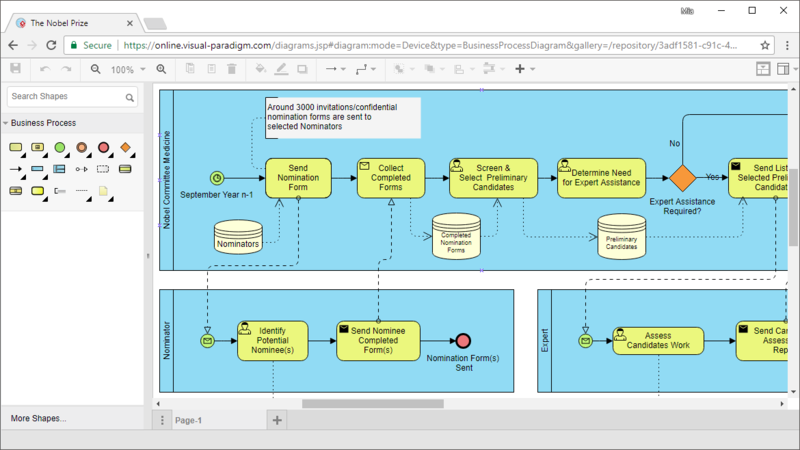 Online BPMN Business Process Diagram tool. While we like the idea of cloud technology for diagramming over the cloud with zero configuration, online diagramming tools typically draw diagrams with poor supports on enterprise scale facilities such as model sharing and reusability, traceability and reference of shared projects. 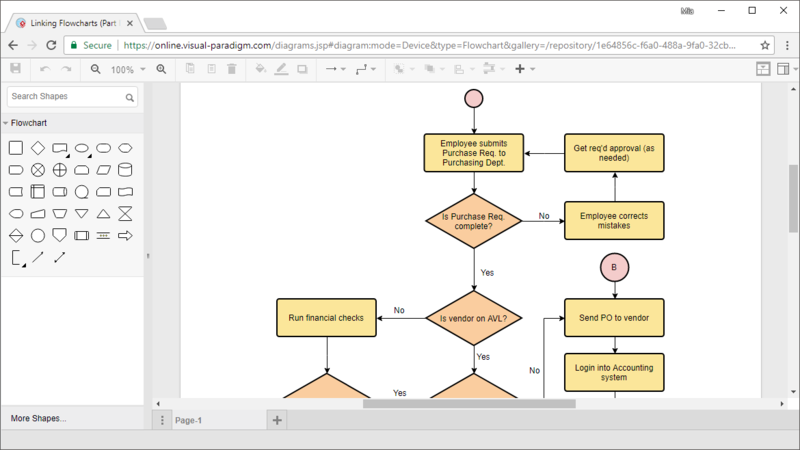 We need am easy-to-use report generator for diagrams that is usually lacking in cloud-based diagramming software. 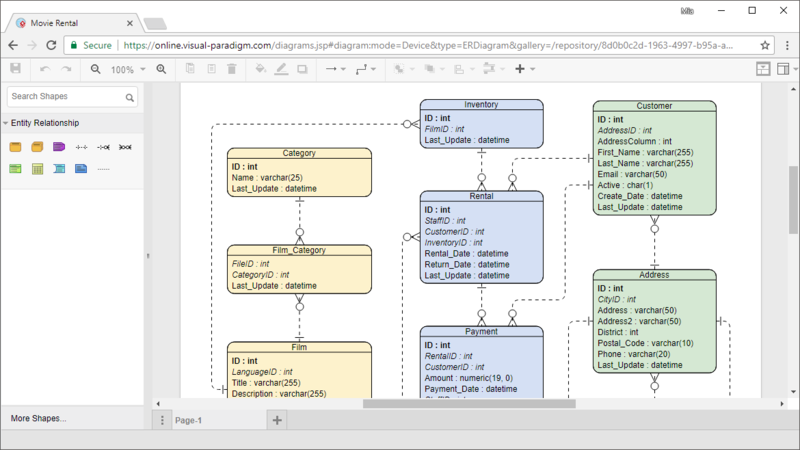 Most of the online diagram modelers do not provide models connection validity, so, they are suitable for drawing ad-hoc diagrams instead of formal specification languages such as UML, ArchiMate 3, SySML, BPMN and etc. Innovate your idea or concepts anytime and anywhere online over the cloud using formal specification languages without worrying about the configuration, versions or even storage of saved work. Draw and validate your validity of diagram on-the-fly without worrying create wrong semantics in the diagrams. 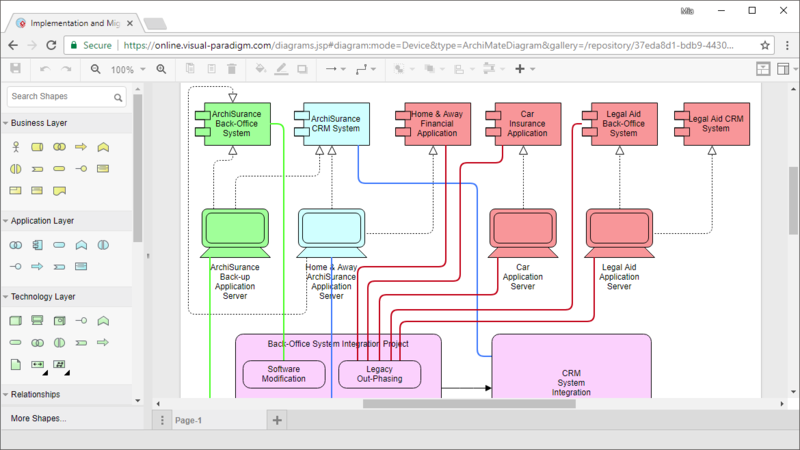 Real-time synchronization of diagram changes, which allows multiple team members to work on the same diagram at the same time. We are an all-in-one platform of development tools. Besides drawing tools, you can also perform user story mapping, customer journey mapping and task management.